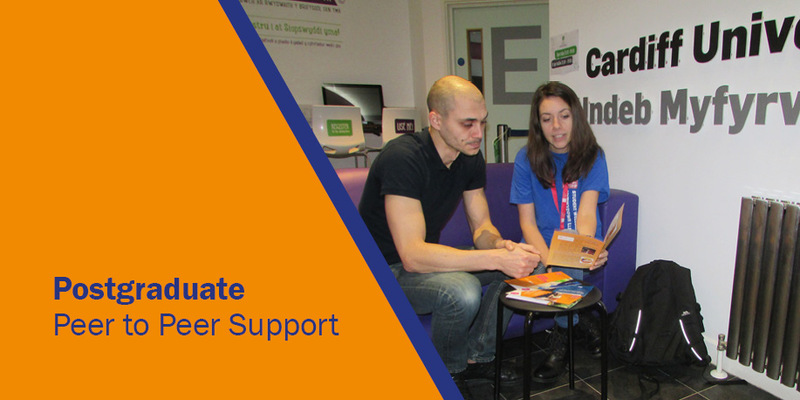 Find out more about the brand new support available for Postgraduate Students…. Did you know we have some enthusiastic and friendly Postgraduates who are trained in providing Peer Support? This is a brand new initiative, and aims to support Postgraduates to look after their wellbeing and manage the ups and downs of Postgraduate life. The Postgraduate Peer Supporters can offer knowledge, experience, and social or practical help to fellow Postgraduates. Academia can often turn into a nightmare of sleepless nights and never-ending workload. The high standards that postgraduates set for themselves can lead to increased levels of stress and anxiety and many find it difficult to prioritise their mental health and wellbeing. We know that there are many factors that contribute to Postgraduates being a vulnerable group: perfectionism, high workload, feelings of guilt, the isolation of postgraduate study and the stigma attached to discussing mental health. As we recognise the need for specialised support for Postgraduates we will start running a Postgraduate Peer Support group in March. The group will support other Postgraduates with finding the right balance in their study and research and is intended to provide a safe space to talk to our Postgraduate facilitators, and others attending the group, who are in a good position to understand these challenges. To offer a safe space to talk about ways of coping with the challenges of Postgraduate life. Please see current sessions to sign up to below. Please know that we are also looking to arrange further dates for sessions at Heath Park Campus too, so if you would like information on these, please contact us.